A must read for any entrepreneur. No matter what field you are pursuing greatness in this book has lessons that apply to most entrepreneurs. I particularly enjoyed learning from Sean about fear and how to overcome fear and use it as a tool and how creative entrepreneurs think. This book gave me great ideas to apply to my own business. 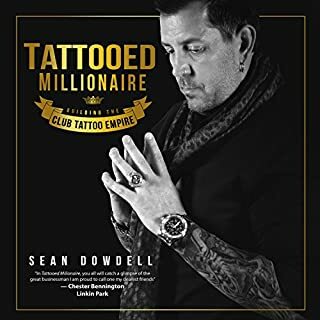 owning a business and being an entrepreneur is not easy and it is comforting to know that successful entrepreneurs like Sean share the same struggles as a newer generation of entrepreneurs are growing.